T he Lumbee River Electric Membership Corporation has been advertising on Fayetteville radio non-stop for 16 years. Lumbee River EMC is a member-owned company, also known as a cooperative, that provides electrical power to residents and small business owners in portions of Cumberland, Robeson, Hoke, and Scotland counties. The cooperative began in 1941 with 409 customers and 491 miles miles of power lines. To fulfill this objective, Mr. White does not purc hase typical 60-second commercials like other Fayetteville small business owners. Instead, he invests in radio station events and sponsorships that benefit the cooperative's members. “We will invest in those programs that promote a sense of community or improves the quality of life in the areas we serve,” he says. “We can’t depend on options like Pandora, Spotify or social media to help with these sorts of endearvors,” he continues, “because they just don’t have the local presence we need to be successful. “When we are presented with radio opportunities, I ask myself, does it personally affect our members? Is it education related? Is it health and welfare related? Is it electricity related? We only move forward if it can fit those criteria,” Mr. White adds. 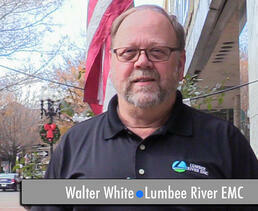 Lumbee River EMC counts hundreds of small business owners as members. 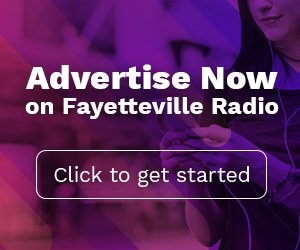 So, what advice would Mr. White offer to those members about advertising on Fayetteville radio?